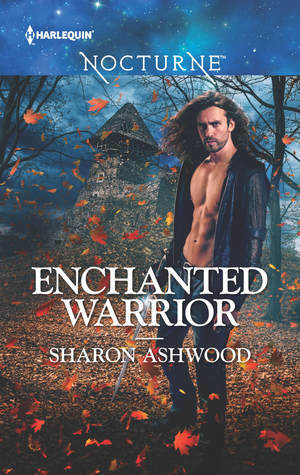 Goodreads Giveaway for Enchanted Warrior! Giveaway ends January 30, 2016. 10 Obscure recipe ingredient. Must have it. 8 Distant relations haven’t heard from me since the 90s. 6 Financial planning! Right now! 5 Flyers! Must. Read. Every. One. 4 My sinks are dirty. Someone might see them. Like my mother. 3 Computer gags. Software update. 2 Must Google for new reviews. Then the aftermath. 1 Can’t possibly write without the perfect tea. Look who arrived on my porch! Sadly, Gawain himself wasn’t in the box! The Demon Lord of Kitty Badness in conversational mode. The plaque at the museum describes the dress as “cream silk ninon dress with satin ribbon work trim.” For those (like me) who had to look up the term “ninon” it’s the gauzy stuff. I have to say I am besotted with the way the overskirt is gathered up at the back. It looks casual and elegant at the same time and reminds me of Grecian statuary. This has nothing to do with anything to do with writing or books, but it’s my blog and I can blither if I want to. So I grew up with audio geeks and my mother, who is a musician, still claims that vinyl sounds better than anything else. Playing a record is a ceremony requiring the exact positioning of furniture, cleaning of the needle with special elixirs and sitting with uninterrupted focus to listen. I’m not quite that picky, but I finally coughed up money for a decent set of Sennheiser headphones and realized just how good digital CAN be if the proper equipment is available. My iTunes playlist suddenly has new life and–wait a moment–instruments I hadn’t even noticed! Lyrics I can understand! A sense of space and distance between sounds! Seriously, the average earbuds just don’t do justice to good music. I’m not sure why it’s taken me this long to get some good headphones, but I think it has something to do with a beloved white pussycat of yore who used to chew through the wires of anything he could find. I loved him dearly, but one month he went through 3 sets of headphones. The sight of him with spaghetti wire dangling from his mouth discouraged any serious investment . . . I’d have him back in a heartbeat though. So many books, only one keyboard! So here we are the beginning of 2016 and it’s time for me to take a step back and consider next steps. It’s been a while since the last Emma Jane Holloway offering landed in bookstores. I’ve been careful not to make promises I can’t keep, but I can say that after clearing out other obligations I have a bit of space to think about it and hopefully will have a concrete plan about next books before long. It’s not like I’m short of ideas or ambition. There are a handful of projects to choose from, each appealing for different reasons. Some are connected to the Baskerville series, some not. Each of my babies deserves to be written. Really. In my admittedly biased view, they all have interesting features and undeniable merit (but then I’m their mom). The fact that I have a choice is in some ways a problem in itself—doing one thing means not doing another, and then I get sad. I want to write ALL the books. When it comes to decision time, the question is one of how ready a particular project is to be written. It’s not something an author has control of—at least not beyond a certain point. It’s like having a bowl of pears on the table. Which one is ready to eat first? All you can do is watch and wait. What am I waiting for—I dunno. I get a glowy feeling or I don’t. The more complicated the story, the more it needs to sit in the cellar. But eventually a book simply must be written, and away we go. To complicate matters, sometimes I think I know which project it will be and then some outlier gallops past the post. Yes, it is possible to ignore that project in favor of another, but then what happens is a messy struggle between an unripened plot idea versus a rotting synopsis. I’m not sure, but I think that’s how dystopian novels are born. Those of you who are writers know what I’m talking about. For those of you who aren’t, be aware that writers are weird. I’ve talked about the fact that I’m starting a new Nocturne series and the first book is coming out in February (just in time for Valentine’s!). I’m sure how well I’ve explained it– it’s a contemporary-set paranormal based on Arthurian legend, complete with fae, witches, demons and plenty of magic. There is a respectful nod to medieval fantasy, but I do not stray into true historical territory. d ladies sleeping on their tombs. At the time, I thought them serene and beautiful and sad and wondered what would happen if I had the power to wake them up. On a much more recent trip through Exeter cathedral, that idea returned with a romantic twist and here we are. The first book is Enchanted Warrior and its hero is Sir Gawain, the son of King Lot of Orkney and the Isles. He’s stranded in modern times and on a mission to find King Arthur. When he encounters Tamsin Greene, a medieval historian, he believes he’s found someone who can help him. Unfortunately, she’s a witch and he doesn’t trust anyone with magical powers. Mind you, Gawain has a few surprising talents of his own! The second book is Enchanted Guardian (Lancelot), which will be out in the summer. He’s one of those figures that we think we know, but when I started digging into his legend there were a lot of surprises that I was able to take advantage of. I’m very pleased with this series – I’ve really had a lot of fun exploring this world. Those who know computers and cats will know whereof I speak. I’m on deadline for Enchanted Guardian, and I have a stiff daily page count to make. However, the Demon Lord of Kitty Badness can’t go half an hour without an adoration break. He considers this his contribution to the writing process: ensuring that I take those important moments to bend and stretch (as when tossing a nerf ball, filling a food dish, or removing him from some small instance of destruction). Without his input, I’d become overly focussed on unimportant work goals. Also, the type of progress I’m seeking is a mundane, unenlightened human measurement. Frequency of cuddle sessions are a far better performance measure. Everything is teamwork when you have a cat. Important safety tip: the cat is the team leader.